The smell of alcohol is always unpleasant for the people around you, especially those with you in close communication. Even a small dose of the drunk alcohol, whether wine, beer or vodka, will immediately be felt from the mouth. You have an important meeting or business conference, you just need to eliminate an unpleasant smell of alcohol drunk the day before? There are a few simple ways that will help to regain your breath fresh. Try to start the morning with gymnastics, as exercise will help to bring some toxins through perspiration, consequently smell of alcohol will decrease slightly. Drink loads after a large amount of fluid (not alcohol), so your liver and kidneys will be much easier to cope with an alcoholic toxins. Well-established tool in the form of tablets that can be purchased in almost every pharmacy – "Antipolitsay". 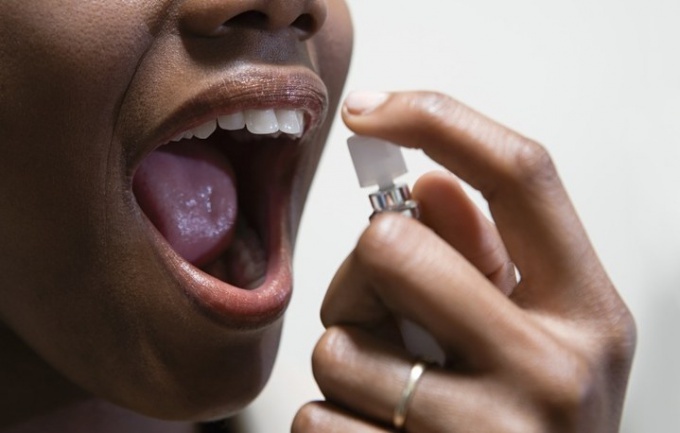 This drug will help eliminate unpleasant smell of alcohol on his breath. In the "Antipolitsay" includes only natural ingredients that can clean your breath. And that's menthol or mint chewing gum is able on the contrary, aggravate the situation. Since, mingling with the smell of tobacco and alcohol, it will only exacerbate the odor. The best effect in this plan will give chewing gum or candy with fruit flavor. Coffee bean since ancient times are considered proven and effective method of getting rid of the smell of alcohol and fume. To do this, take a few grains of roasted coffee and chew well before you leave home. Do not forget to take a little bit of grains, as the effect does not last long, only thirty minutes. As you know, after drinking a serving of alcohol starts to separate acetaldehyde, which causes bad breath. In this issue well established flax oil and walnuts. It envelops the mucous membrane of the esophagus, stomach and mouth, it's enough to drink one tablespoon of oil. Dissolve in a glass of warm boiled water, one teaspoon of salt and thoroughly rinse your mouth with the prepared solution. And the smell of alcoholic beverages is not gone, it is enough to chew a few leaves of Bay leaf, cloves or nutmeg. And, of course, don't forget to have a hearty Breakfast, as neither one of these methods will not help if the stomach is completely empty. This is better suited sour soup, Solyanka or rassolnik, they not only help eliminate odor, but will save you from the attack of a hangover. Parisite a handful of sunflower seeds. First of all, you should know that to completely mask the smell of alcohol no one has yet succeeded. But if you want this smell was minimal, try to eat well. Especially anything hot, cold and greasy. 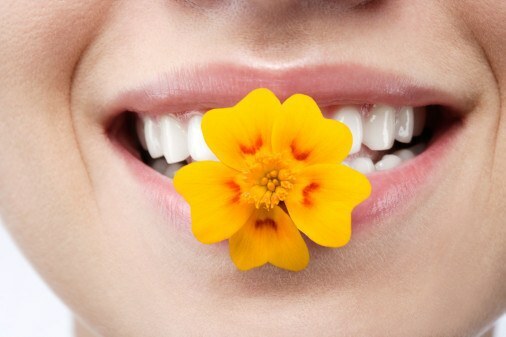 Take some dental elixir, strong tea (if you have it - an infusion of sage) and rinse your mouth. Then brush your teeth with any toothpaste. Take some adsorbent type of activated carbon, sorbets or Politeama. Will not prevent you from physical activity. Lungs are better ventilated, and some products of decomposition of alcohol will leave when you will perspire heavily. Take a shower or a hot bath, and then contrasting cold shower. This method and the brain "clean", and remove the skin from the products of decomposition. Try to use the "Antipolitsay". Doctors claim that this product has the advantages: first, the presence of components that help to absorb the smelland in the mucosa of the upper respiratory tract, secondly, the composition of natural products. Substance is is valid for hours. Exist in the Russian market for this purpose and the tool produced by Glister, as well as Chinese homeopathic globules, for example, "ginseng". Please note many of the popular ways of getting rid of the smelland alcohol. This leaves and herbs that contain essential oils and Bay tea leaf, parsley, dill, celery and Basil. Longer chew these herbs. Who tried almost unanimous in the opinion that it helps, but not for long. Anyway, natural herbs contain a lot of useful items that are always useful to your body. Can try garlic, nutmeg and walnuts, hazelnuts, almonds, grains of roasted coffee, bitter chocolate. Drink a few tablespoons of vegetable oil or strong smell heart drops, but think about the possibility of "deafening" effect of such tools on the intestines and heart. But if you want to have the smell ofand alcohol generally don't drink. Quite often it is necessary to mask the smell of alcohol. From parents or wives at work. There are many different people's methods and advice, they quickly and effectively will help you to get rid of these problems. To kill the smell of alcohol will help sunflower or olive oil, after all its causes happen to be pairs, so, enveloping the stomach wall sheeting, oil temporarily blocks their selection. The effect lasts a maximum of ten minutes. Take one tablespoon, but the effect is temporary. Try to "seize" the smell of alcohol. Using this method, you can reduce the amount of emitted aldehydes, because they are the cause of the smelland the most part excreted through the mouth. The food is not clean, and will simply reduce the amount of emitted aldehydes. One of the common remedies for the elimination of fume - walnut oil or linseed oil, they envelop the mucous membranes of the mouth and esophagus. Also pour a glass of boiled water and pour into it one teaspoon of salt, after a good rinse and the smell will be dulled. Take a few leaves of Bay leaf and chew them well, the feeling of breath will disappear. Use special tools to ingestion of alcohol, for example, if you know what to give up booze will fail and tomorrow behind the wheel or responsible for meeting. 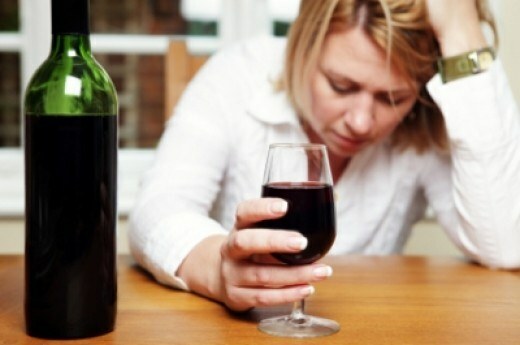 There are a wide variety of drugs that reduce the absorption of alcohol and eliminate its harmful effects. These funds belong to the group of hepatoprotectors. "Alcohol will help you in this situation. A few drops of ammonia dissolved in a glass of water and drink. This tool will not only save you from odorand alcohol, but perfectly sober. Apply gently and not more than four or five drops, otherwise you may get a chemical burn of the esophagus and stomach. Drink one ampoule of vitamin B12. Well beats the smell of alcohol. Remember that after drinking this amount is not to drink and smoke for one hour. Drink strong coffee, brewed in Turk better, and not soluble. You can chew a few coffee beans. Perfectly masks the unpleasant smellI. Try the special funds that are aimed at removing syndromes hangover and discomfort associated with it, such as "Antipolitsay" or "Antipohmelin". In their composition are vitamins and citric acid. For some time will help to disguise the smell of alcohol. Remember, all these tools only mask the smell, but when checking on the breathalyzer sample will be positive. After party with the presence of alcohol is not excluded morning the appearance of fumes. In addition to the headache trouble delivering that together with you the smell and the people around them. To knock down the fumes helps the greens. For a while the breath can be chewed parsley or dill. Saves you from fumes and Laurel leaves, only to chew it is not very nice. Bay leaf can be replaced with brew loose leaf tea. It is useful to eat fatty soup and drink grapefruit juice. Chewing gum gives temporary effect, but from the variety of flavors to choose a fruit, not mint, which only increase the odor. Short-term effect of rinsing with salt solution. In a glass of water dissolve 0.5 or 1 teaspoon of salt and rinse mouth thoroughly. To maintain results, repeat the procedure several times a day. To neutralize the fumes will help the lemonade with mint and honey. Cut into cubes lemon wedge thickness of 5 mm, RUB in the hands of a few mint leaves to give juice. Put all in a glass of water and add 0.5 or 1 teaspoon of honey. Mix well and put a couple of ice cubes. If you have a party with lots of alcohol, think about the possible consequences in advance. Not alternate liquids of different colors and degrees. Try not to exceed their "normal", and even better, and does abstain from alcohol. If no alcohol was involved, before going to a party, drink a glass of milk. When the festivities come to an end, take a couple of tablets of activated charcoal. Fume will be weaker if the day before not to abuse cigarettes. Find recovery from fume in the pharmacy. There you will be offered plenty of effervescent tablets from a hangover or a persistent odor of the mouth. However, they are not capable of 100% to save you from odor for the day. If you've tried plenty of money, and fume, as there seems to be almost gone, yet beware of getting behind the wheel, otherwise the last mistake will result for you an unpleasant surprise on the part of employees of traffic police. A festive meal is a large number of foods and alcoholic beverages, after that morning, tormented by the unpleasant smell of alcohol on his breath and headache. 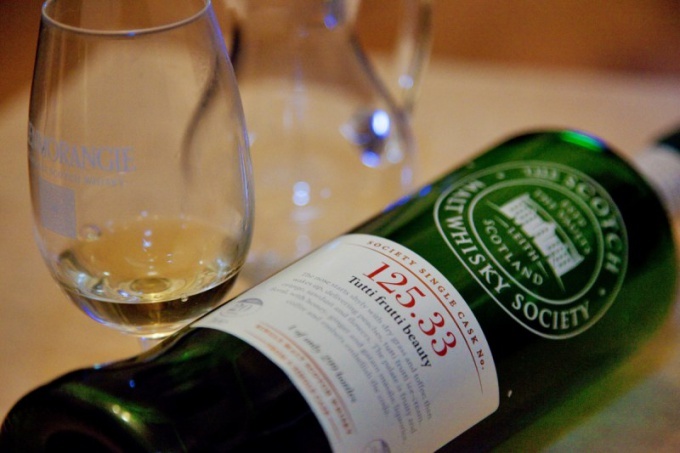 To actually eliminate the smell of alcohol is quite simple, the main thing is to follow the advice and recommendations. Roasted coffee beans are one of the most proven and effective methods to get rid of the smell of alcohol. For this enough before leaving the house to chew a few grains of roasted coffee and to grab another, along with you, the smell of coffee soak up the alcohol for a while, for thirty minutes. Virtually every pharmacy and supermarket, you can buy tablets that have a peculiar name "Antipolitsay". This tool completely eliminates bad breath. It consists of only natural ingredients, can purify your breath due to the absorption of molecules of odorants. 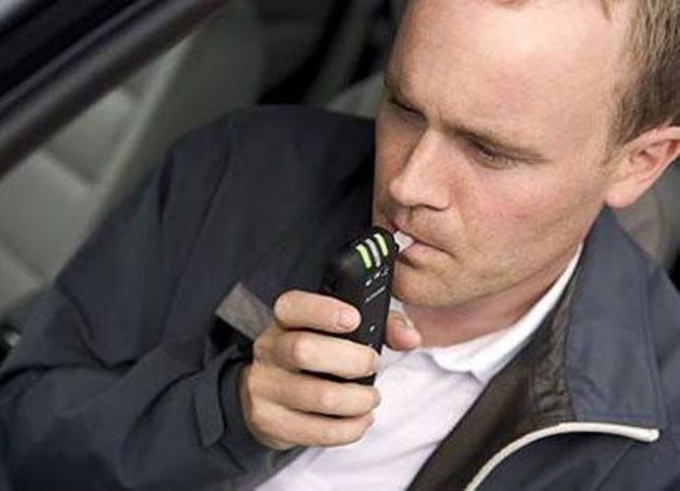 But, unfortunately, the majority of employees of traffic police well-known smell of "Antipolitsay", so you should not get behind the wheel if you don't have full confidence that the breathalyzer will not show the presence of alcohol in the body. Mint candy or gum is to reject immediately, as after its use there is a strong smell of alcohol mixed with mint. In this case, you will not be able to hide the smell of alcohol, and only will give him more. Take a few leaves of dried Bay leaf. Take them in your mouth and chew well, of course the taste is bitter and unpleasant, but worth it. You will be surprised how quickly the smell of the fumes disappear completely. 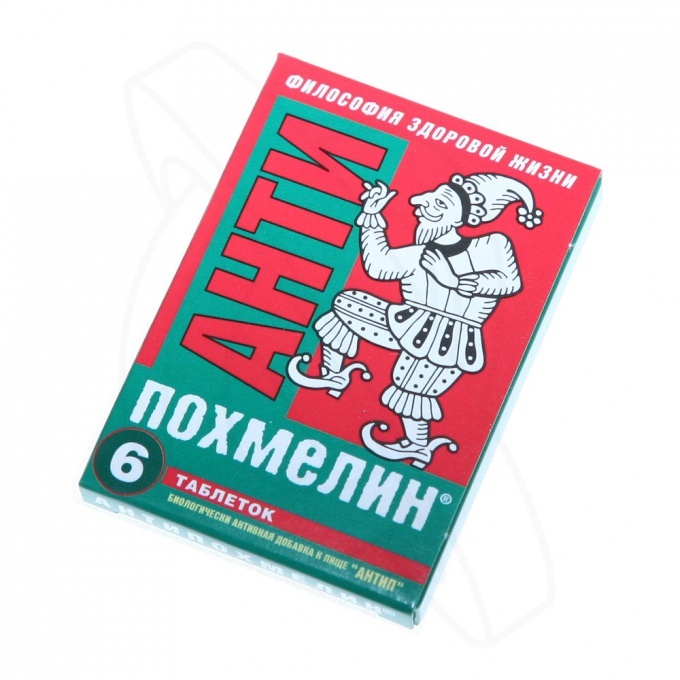 To remove the finish Lavrushka, can chew fruity gum or eat candy. All of the above methods can be ineffective in case, if you tightly have not had Breakfast. Before you leave home try to eat one of the following dishes: soup, sour soup, or stew. A hearty Breakfast will help not only to cope with the smell of alcohol, but also partially relieve hangover. Squeeze the juice of half a lemon and add a few drops of vinegar. This mixture rinse your mouth. This procedure helps to restore the microflora of the oral mucosa. Also a good option are considered to be the roasted seeds that need to chew sufficient. After a celebratory drink in the morning hard to get rid of unpleasant mouth odor. To go to work in this condition and breathe in the fumes of the chief does not want. Try to use as tools, some of them will help. To get rid of the fumes and hangovers, drink cabbage brine. Besides him, remove toxins from the body will help the village milk. The store will also work, but will make things worse. Drink as much liquid as possible. Cool mineral water and fresh juices are also excellent deduce harmful substances from the body. The more toxins will come out, the less you smell of booze. Eat a full Breakfast. To cope with the fumes will help oatmeal, citrus and parsley. Perhaps because of your hangover you won't want to eat, but it needs to be done. Muted scent will help fruit and creamy ice cream, nutmeg and walnuts, sunflower seeds, pistachios. You can mask the smell of stale garlic and onions (but these flavors are no better!). Chew grains of roasted coffee, parsley root, clove Bud, Bay leaf, sprigs of lemon balm or mint. Before use, pour one of these products with sunflower oil. Then rinse your mouth with warm water and brush your teeth mint toothpaste. Can gargle with a strong solution of salt. Take advantage of mint chewing gum. To temporarily speed up metabolism and remove toxins faster from the body, do exercise in the fresh air, if health permits, set up the run. 10-15 minutes of exercise should suffice for the partial elimination of toxins. Strengthen metabolism you can use a hot bath. Few minutes contrast shower will help you cool off. Use warm and cool water, carefully RUB yourself with a towel. Wear only clean, fresh clothing, or the smell of yesterday's outfit reveals. Send it to the Laundry. Before operation, use a freshener for the mouth. Well interrupted by the smell of booze and some candy. Take Valerian, tincture of Valerian or motherwort. These tools will tame the smell. You can use special drugs to help get rid of fume. Such products are sold in supermarkets and pharmacies. Give preference to pharmacy drugs, they are more expensive, but more efficient. Alcohol has several negative consequences, including the distinctive breath – the breathwhich appears due to the decomposition of ethyl alcohol to acetic aldehyde. In the morning, this scent can deliver to motorists or people working in the team, a lot of trouble. Get rid of the smell of fumes in the home with proven remedies. We must not forget that food helps to reduce the smell of fume. Even if you experience morning nausea and a strong hangover, you need to force yourself to eat something. For starters, you can drink a glass of pickle juice, a Cup of green tea or fresh coffee. After that should prepare a light Breakfast, which further minimizes the smell of alcohol. Any tool used to combat the smell of fume, are only effective within an hour or two, after that it is necessary again to resort to their help. This time is usually enough to get to and from work, passing with success the traffic police post. Before you leave home, carefully brush your teeth, then you can use one of the options to minimise the smell. If you have a home coffee beans, take a few pieces, chew them well, they will keep in your mouth the resulting slurry, and swallow. Almonds – a great help in eliminating the alcohol smell. Chew a few grains nuts and swallow that will be enough to have a few hours to forget about the fume. You can use Bay leaf, but keep in mind that its use may provoke an attack of nausea. But Lavrushka well interrupts the alcohol smell. First it needs a few seconds to hold it over the gas to the edge of the leaf is slightly charred. The resulting ashes put under the tongue and allow to dissolve for several minutes. Remnants of a sheet periguete and swallow. In a normal house you can find a large variety of media that effectively fight the fumes. These include cinnamon, which is necessary to dissolve for three minutes. A side effect of this recipe – pronounced taste of bitterness, which lingers long in the mouth, but for the sake of eliminating unpleasant smell, you can go to such extremes. Dried clove buds have similar properties. Chew a few pieces, hold in mouth for three minutes and swallow. You can resort to the help of vegetable oil, although far fewer will force myself to drink after a hangover 50 milliliters of this natural remedies from the fumes. Some people try to cope with the unpleasant odor of chewing gum than only exacerbate the situation. Gum doesn't eliminate smell of alcohol, but only strengthens it. Much more efficient and safer in this situation is to use roasted sunflower seeds which will save you from the fumes for two to three hours. A good helper in this problem may be the greens. Chew a few parsley sprigs, celery or dill.